THE DIRECTORS are an award – winning, electrifying, unparalleled and highly entertaining 12-piece show band led by vocalists Tony Picciuto and Randi Katz . 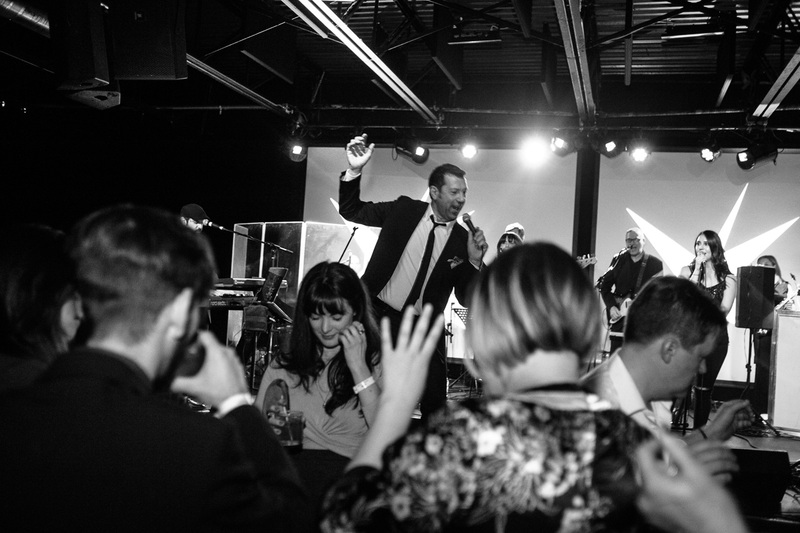 Montreal-based showband THE DIRECTORS, have been named a top act in wedding entertainment and live music for corporate events, galas and fundraisers. With a solid reputation in customer service and a high standard in quality of music, their power to move and engage any age or ethnic group while adapting in real-time to the dance floor is what separates them from other groups. Keeping a close watch on sound volume levels enables guests to mingle freely and hit the dance floor when its time to party. Backed by seasoned and professional musicians, THE DIRECTORS full entertainment package includes : 3 singers, guitar, bass, drums, 2 keyboards, trumpet, 2 saxophones and a disc jockey. Their vast set list offers a carefully selected diverse range of music from the most current of popular radio hits to music from all eras. A strategically chosen repertoire fit to the dance floor includes music from the 40’s, 50’s, 60’s 70’s, 80’s, 90’s, R&B, soul, funk, Motown, Dance, Jazz, Pop, Rock, Disco, Standards, Rock n’ Roll, Tangos, Cha-Chas, Captivating Duets, and Classic Ballads. The Directors can also perform in several languages including English, French, Italian, French, Hebrew, Arabic and Spanish. THE DIRECTORS come fully equipped with sound , stage lighting and backdrop. THE DIRECTORS are fully equipped to travel. With supercharged energy, versatility, crowd interaction , high caliber talent and flair, THE DIRECTORS are Montreal’s most sought after showband. To hear more recordings and see more videos , click here.